New Beads Are Finally Here! The Kiln is done and look what has arrived! 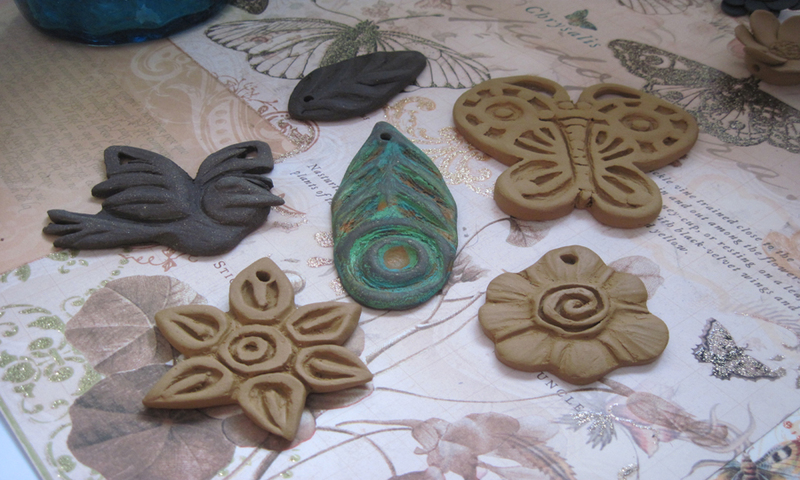 I thought I would show you how the beads look once they are out of the kiln, while they are still raw and unpainted. They boast rich blue, green, yellow, and brown colors. The clay body I use has a very sandy feel to it and you can almost see the details of the rough texture in some of the pictures. Once the piece is sanded it becomes very silky in texture. The clay body comes in five colors; blue, brown, yellow/orange, green, and black. 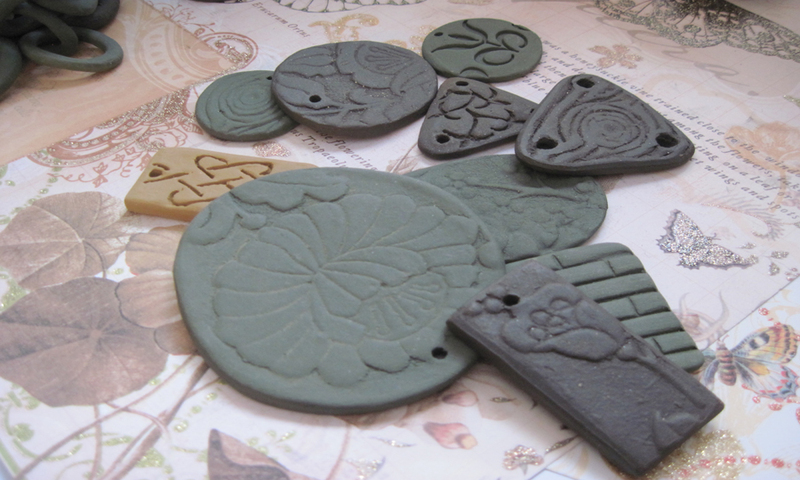 Although I have the black colored clay, I have not used it and I am not sure why - perhaps down the road. 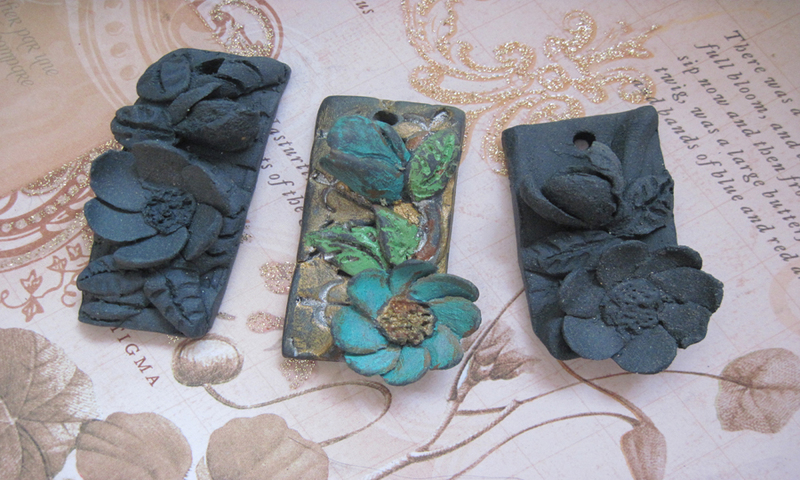 The first picture with three floral pendants shows the contrast of raw versus beginning layers of ink/patina. 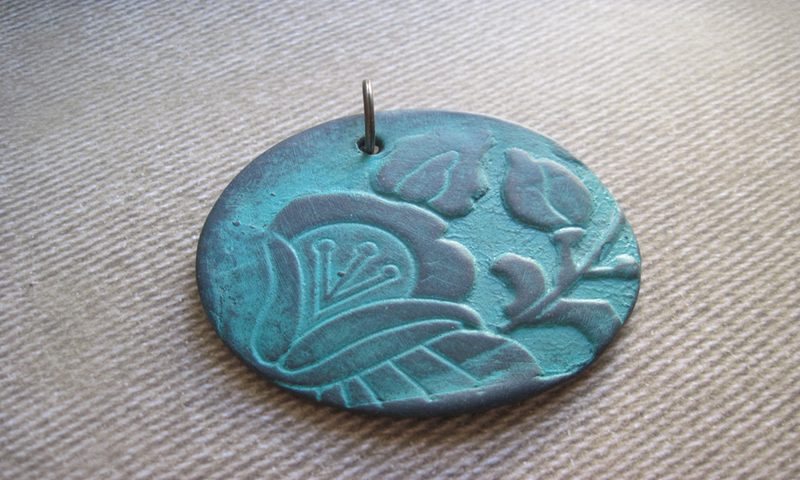 If you notice in this picture the raw pendants are a rich blue; this is the original color of that particular clay. 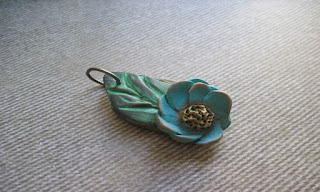 The next picture shows three pendants and a cabochon with the beginning layers of color. 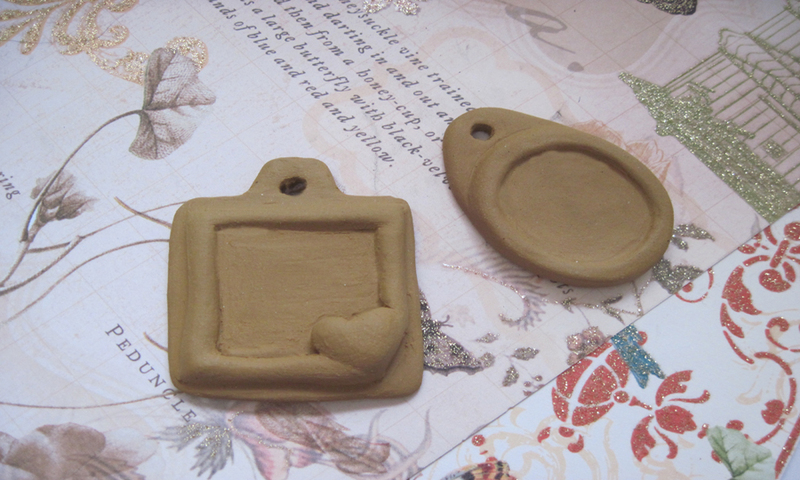 Next, there are five raw pendants, three which are golden yellow and two which are brown. The center peacock feather pendant shows beginning layers of colorant. 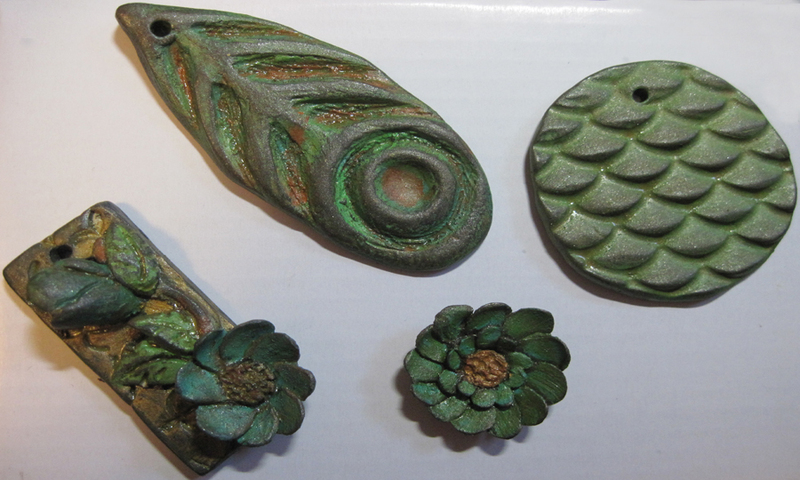 The last four pictures show the raw form of the beads, prior to being sanded, colored and polished. I am quite excited about the settings in picture #4. One of my goals this year is to learn how to work with resins. 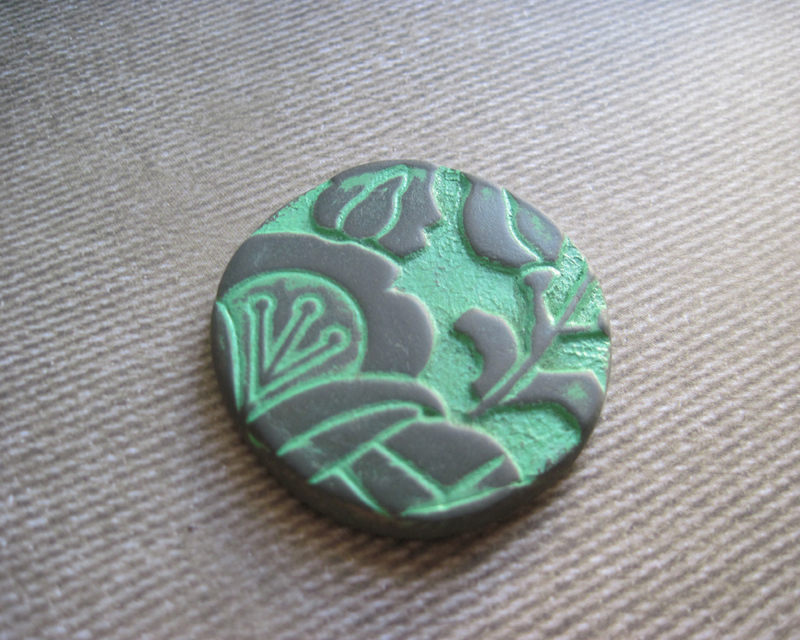 An idea I had for these pieces is to paint them, add a picture or scene in the center and pour a resin over it. I am still in the sketching stages of this project so we will see how it works. This necklace has been submitted in competition. 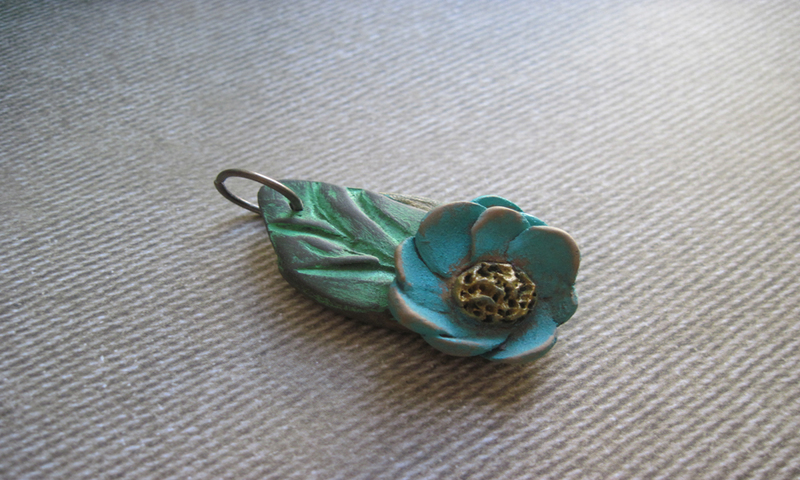 The floral cabochon and rounded drop are made of orange and blue Yixing clay, which are part of my new ceramic bead collection. After firing they are colored with layers of Vintaj patinas, sanded and polished. 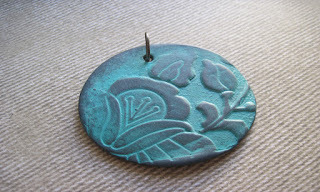 It is attached to a Swellegant coated brass filigree. 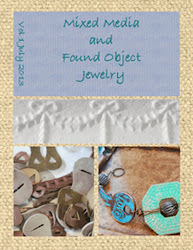 The necklace has been designed to simply slip over your head and around your neck, without a clasp. The soft leather strap rests around your neck. 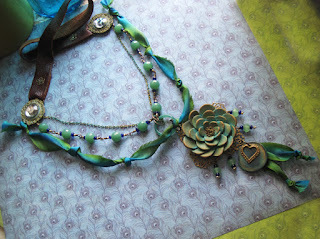 The piece is adorned with wire-wrapped glass beads and dyed silk of peacock colors. It will be listed for sale at UrsyllaBs.etsy.com. 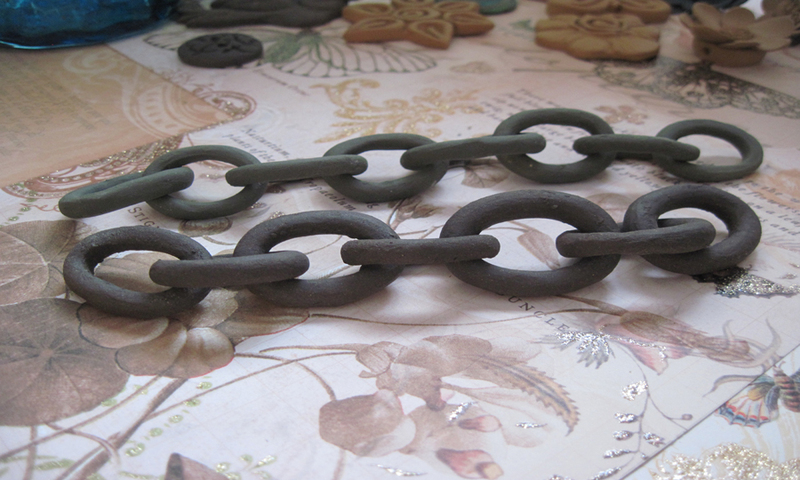 This necklace is a piece I have designed for another challenge coming up in February. I will post links to it when they are available. 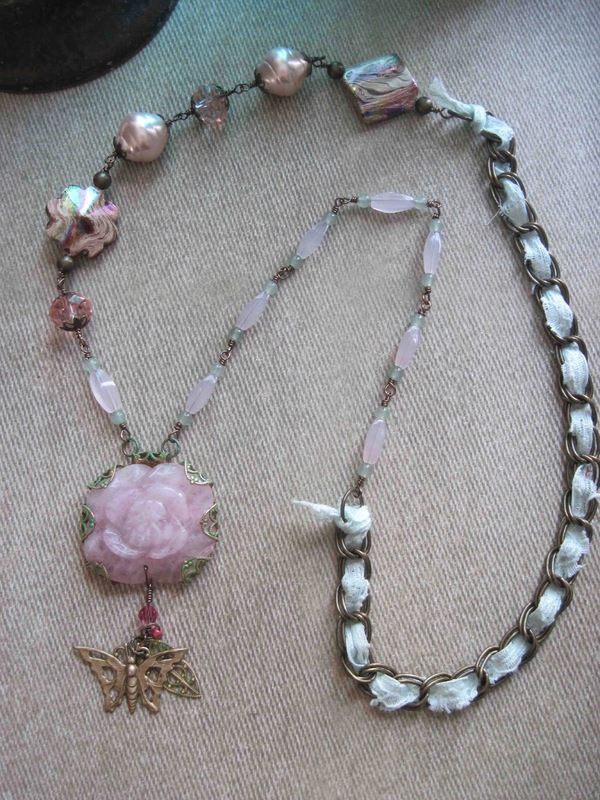 The theme of the competition is the use of semiprecious stones; I chose Rose Quartz. It is a beautiful translucent rose colored stone which has such a romantic essence to it. I chose other materials that reminded me of my rose garden and materials I associated with romance such as filigree, glass pearls and crystal. I then selected similarly toned multicolored beads, along with brass chain and lace which I have woven into it. 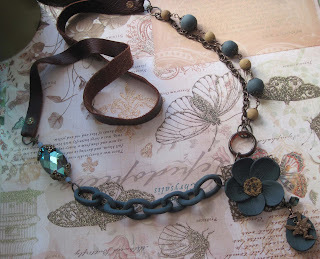 I love the soft pastels of this necklace. 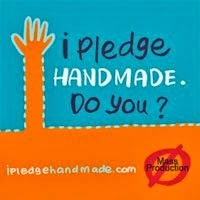 I also designed it to simply place over your head, without a clasp. Each of the beads are wire wrapped and connected to each other. I like the simplicity and romance of the necklace as it is, however, I have drawn up some changes to it. I will post the final piece and the link to the challenge after I have submitted it in February. 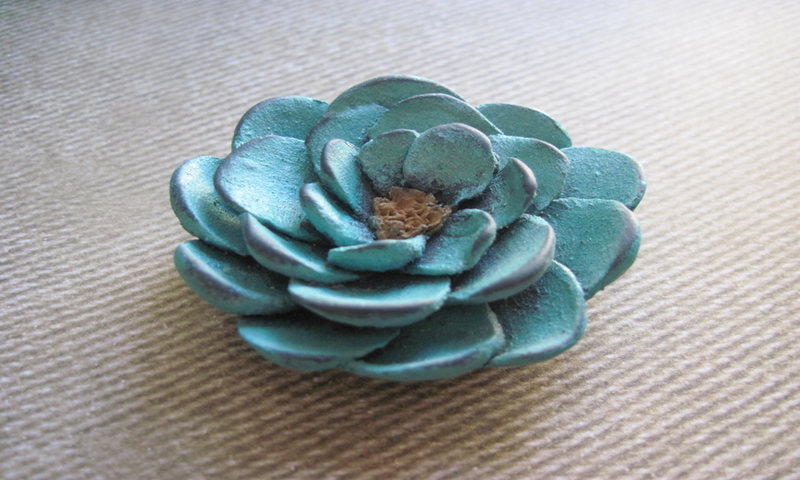 Although there are some similarities to the pieces, each piece is handmade and will have varying characteristics. 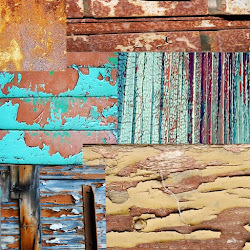 They are very rustic and simple. Design competitions are starting up again for the year. This is my latest in competition pieces. It is called "New Beginnings". 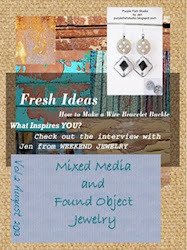 This piece showcases my newest in designs. 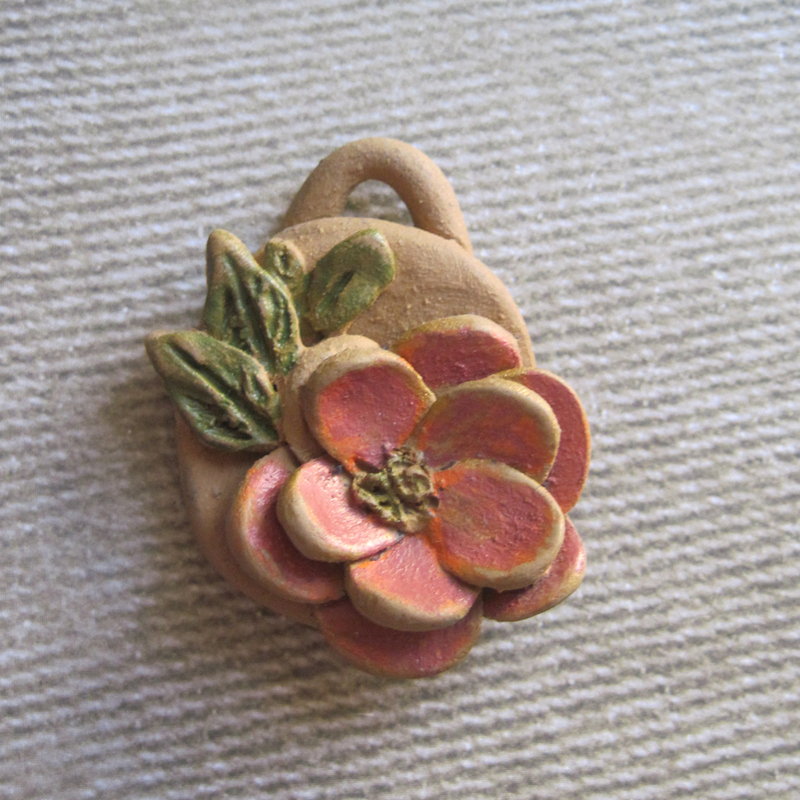 The chain, beads, floral focal, and drop are all ceramic. These pieces are connected and embellished with beautiful crystals, genuine leather, filigree and charms from Vintaj. Voting for this piece begins on January 10th. Please follow the link posted below and vote for me. Thank you. Also, of note - when the competition for this submission has completed the necklace will be listed on ursyllabs.etsy.com for sale.